Without healthy soil, any discussion about feeding the world abruptly stops. True, there are other ways to get food — from rivers, lakes and oceans, for example — but for the most part, food comes from the soil, from the earth, from what most people call dirt. And to feed the world, that dirt needs to be productive, meaning it needs to be healthy in its own way. That fact wasn’t lost this year on those who award the World Food Prize, which is committed to improving the global quality, quantity or availability of food. Since its inception in 1987, the prize, announced earlier this month, has gone to not only scientists, but presidents, former presidents and bureaucrats, all of whom play an important role in advancing the world’s food supply. For example, some have promoted school lunch programs; others, humanitarian relief. Very important indeed. But when it comes to actually digging in the dirt that grows crops and ultimately feeds livestock, few have contributed like this year’s prize winner, Daniel Hillel. 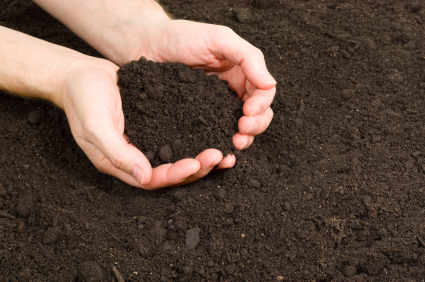 Soil physics involves fundamentals such as water uptake by plants and water retention and movement in soil. To that end, Hillel’s work outside of the classroom has been focused on helping farmers in underdeveloped nations help themselves through better soil health. There’s a local angle to all this — Hillel knows the University of Guelph, and Guelph knows him. He received an honorary doctorate of science from the University of Guelph, 20 years ago this year. Professor emeritus David Elrick, a fellow soil physicist who’s been Hillel’s colleague for more than 40 years, wrote a letter of support for Hillel for the 2012 World Food Prize. “His research in the 1960s and 1970s was highly innovative, and lately he expanded his interests to the world stage where he has worked tirelessly on improving the world food supply through the sustainable use of water, a critical resource,” Elrick said. Prize administrators deserve praise for this selection. They’ve been very supportive of development over the years, awarding the prize to researchers who have realized such accomplishments as drought-resistant sorghum hybrids and large-scale storage of fruits and vegetables, as well as advancements in rice production. Now, in awarding the prize to Hillel, they clearly make a case for the importance of soil. I write more about his award in my Urban Cowboy column in the Guelph Mercury. The photo is from Terra Soil and Aggregate.